The meeting house pictured is located at Victoria University of Wellington. Although its basic construction is that of a traditional meeting house, it does not belong to just one tribe, but many. 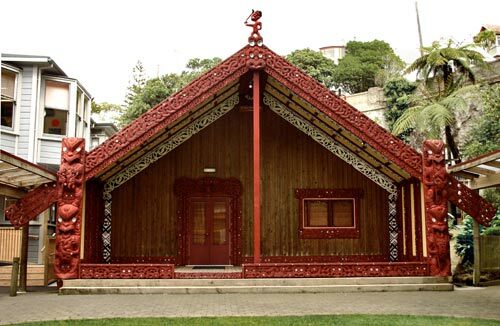 Because Māori students at the university descend from ancestors who came to New Zealand in different canoes, the meeting house is called Te Tumu Herenga Waka, which means ‘the anchorage post of canoes’.